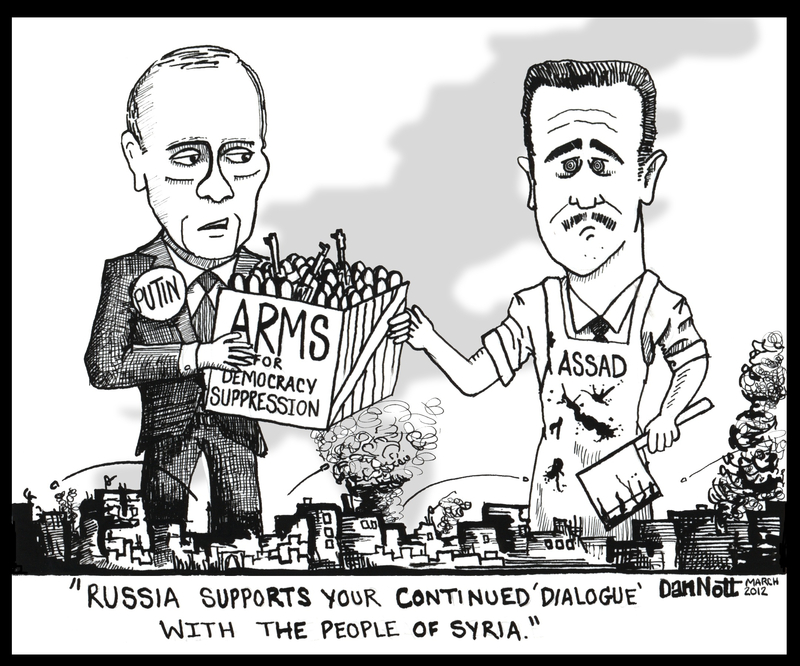 One of my first editorial cartoons was a single panel criticism of Russia’s blatant support for the Assad regime, which had already begun massacring the Syrian opposition. Two years later, I think it’s also appropriate to criticize U.S. policy, which is supporting moderate elements of the opposition in a hesitant and limited manner. The CIA-administered support, which includes non-military aid as well as small arms, and recently, a number of anti-tank weapons, has helped sustain the opposition against the Syrian army without tipping the balance in the opposers’ favor. 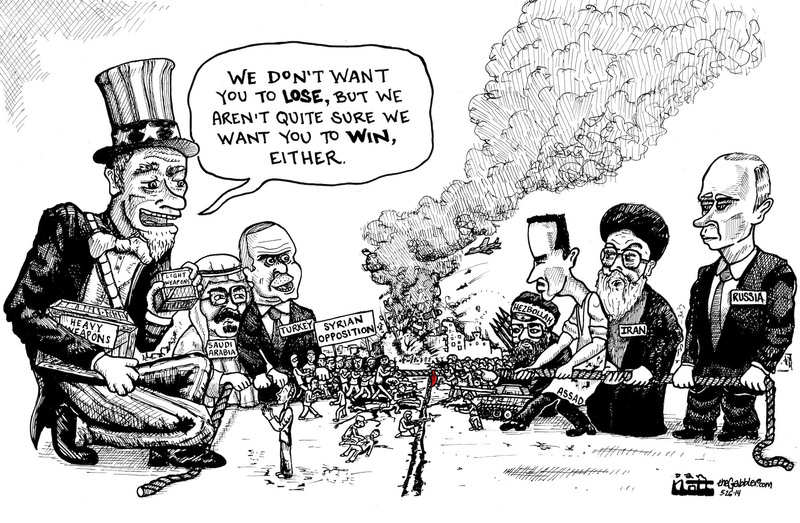 If one believes in both the competency and cruelty of U.S. foreign policy, this strategy could be interpreted as a deliberate attempt to subject each side to the slow, bloody death of a civil-war stalemate, with hopes of some negotiated settlement down the line. However, the U.S.’s limited intervention could simply be a clumsy and risk-averse policy meant to create the illusion of “helping,” while inadvertently prolonging the conflict and allowing more lives to be lost on both sides.